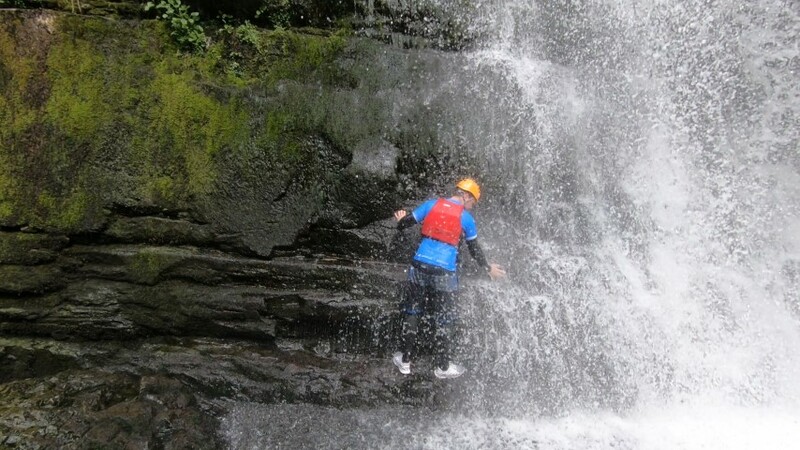 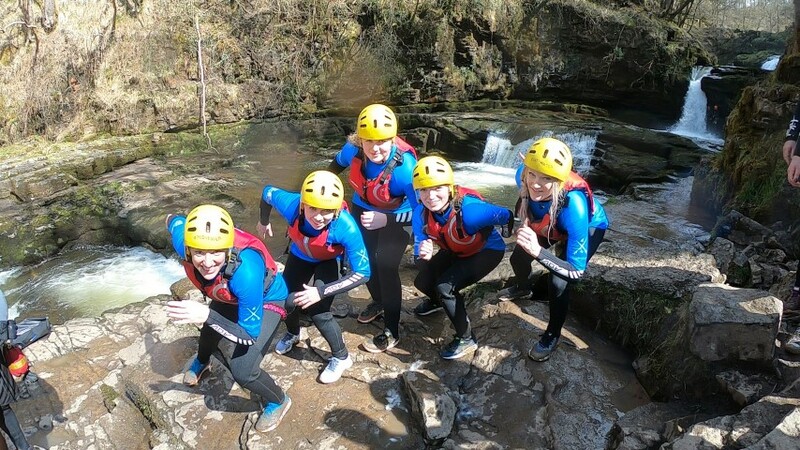 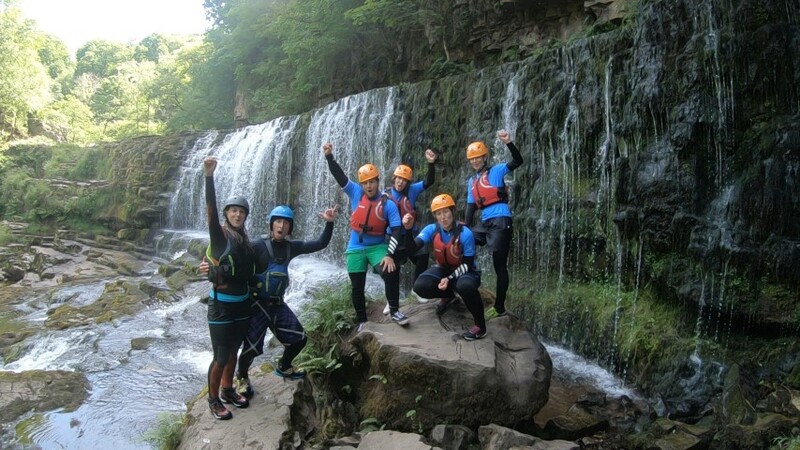 Canyoning, also known as Gorge Walking, is an outdoor activity lover’s dream! 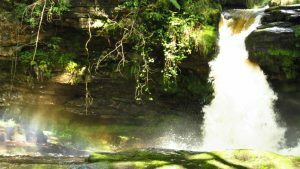 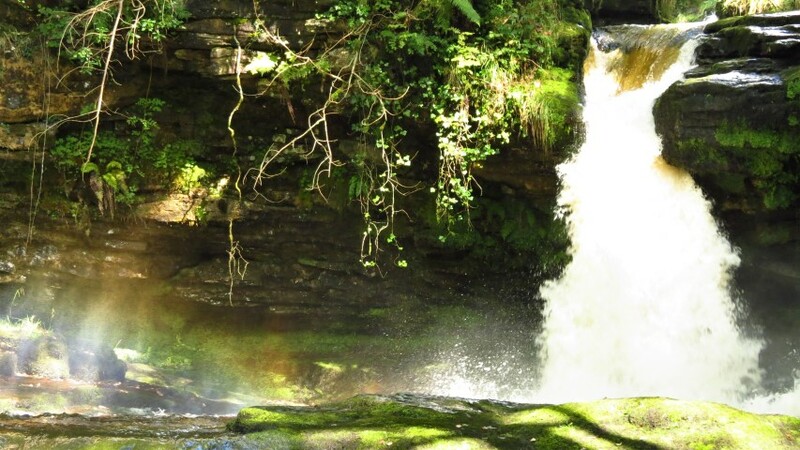 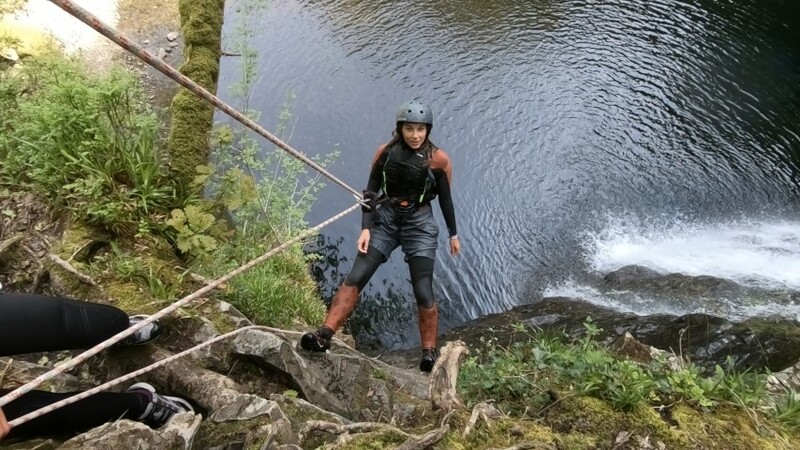 We will take you exploring in the Welsh rainforest, jumping into rock-pools, climbing behind big waterfalls and gliding off natural water-slides down rapids. 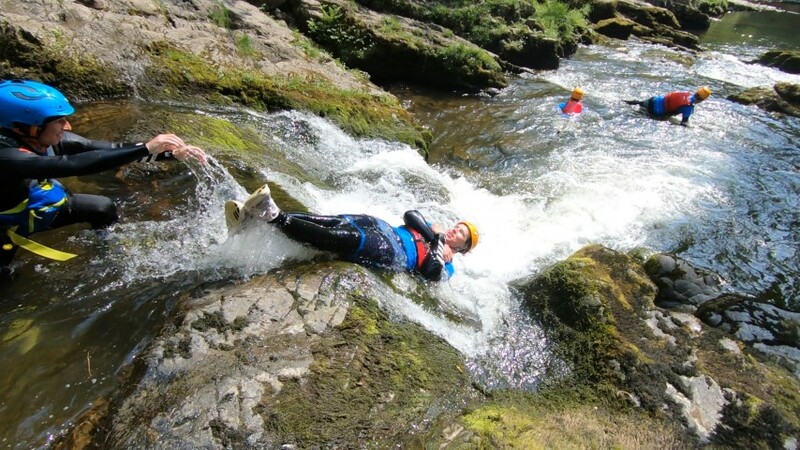 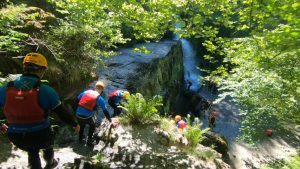 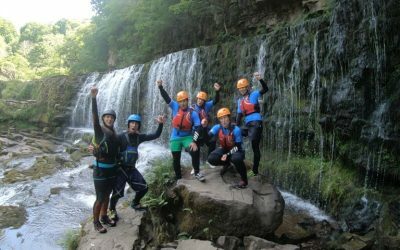 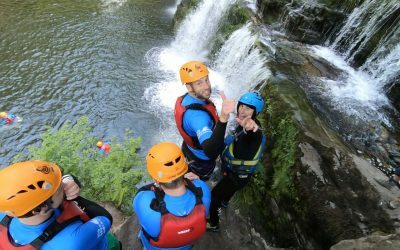 Canyoning in Wales is a really fun activity for all, it pushes your boundaries in a stunning environment but all the routes are easily adjusted to confidence levels, so you don’t need to worry if you’re scared of heights. 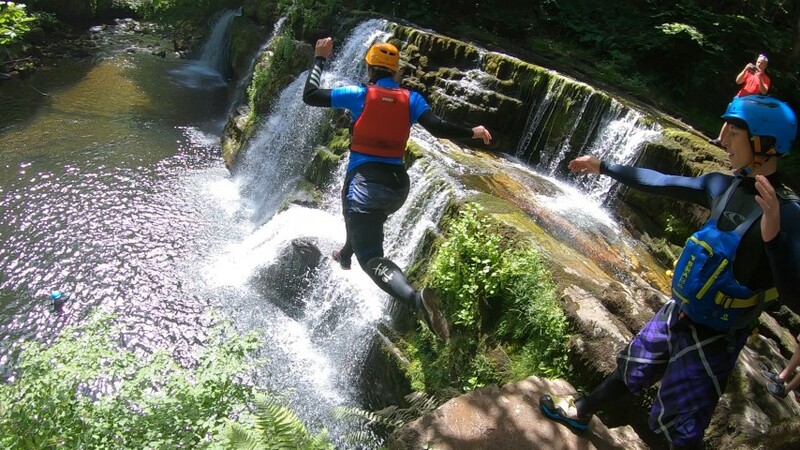 With big rivers and endless types of waterfalls, Brecon Beacons National Park is one of our most popular spots. It’s not too far from Cardiff and in easy reach from the Gower Peninsula for epic days out. 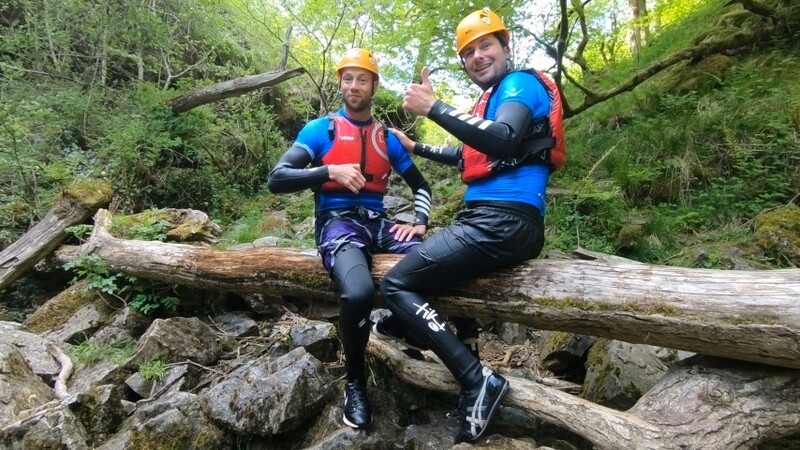 Another awesome natural playground is Snowdonia, also known as the ‘adventure capital’ of Wales. 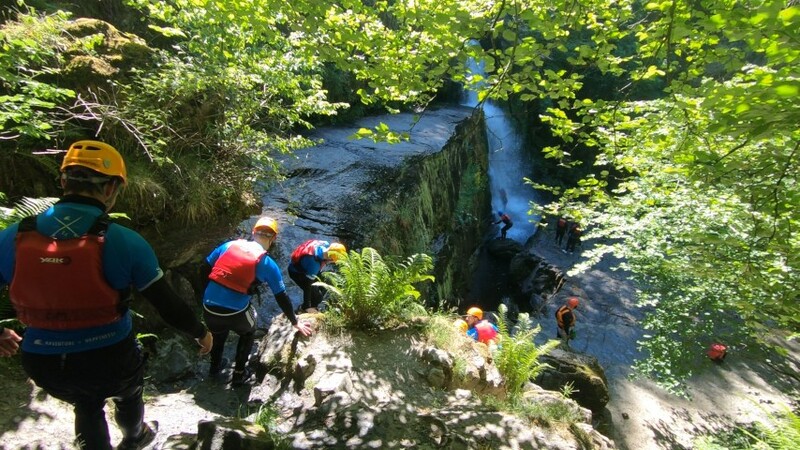 What better place to give canyoning a go? 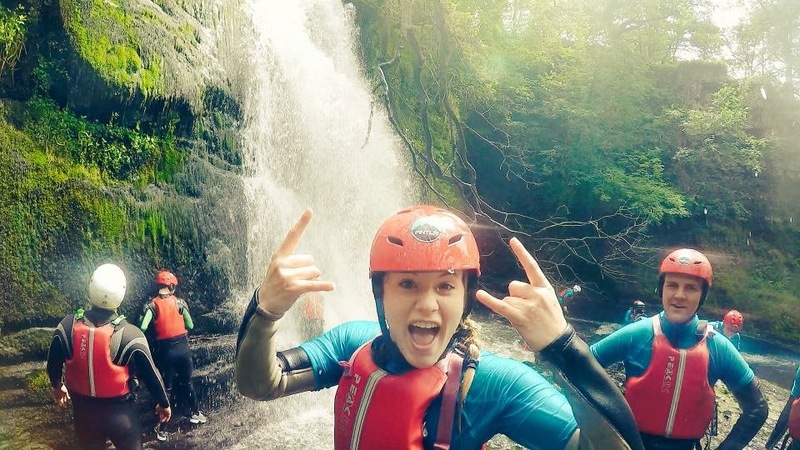 Sliding off waterfalls & jumping into rock-pools, adventure is calling! ‘Activity Only’ prices depending on numbers, so just send us a message!  Get Quote for package price.  Packages are flexible and tailor-made. 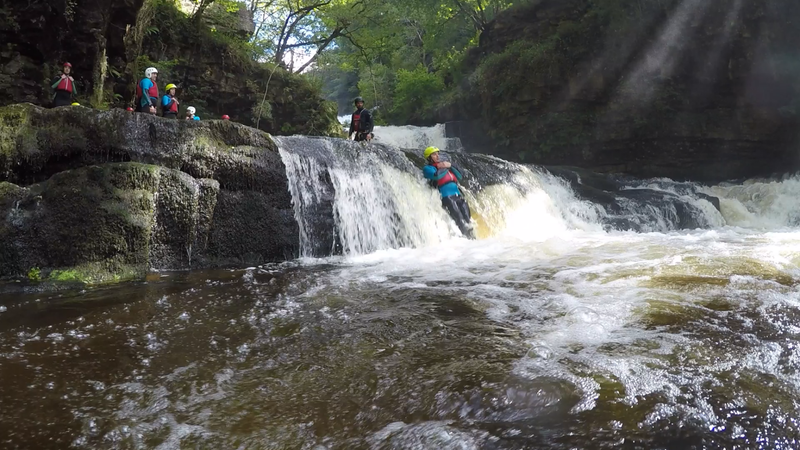 Great British Short-track Team Canyoning! 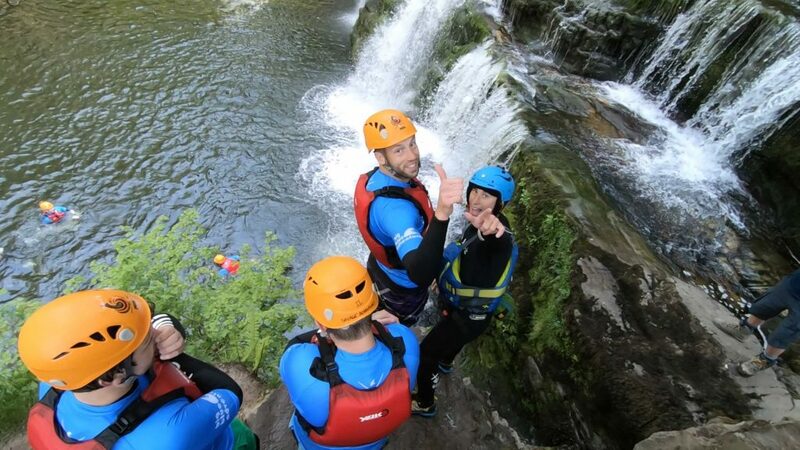 Great British Short-track Team on a canyoning adventure! 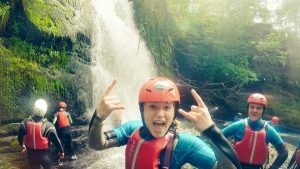 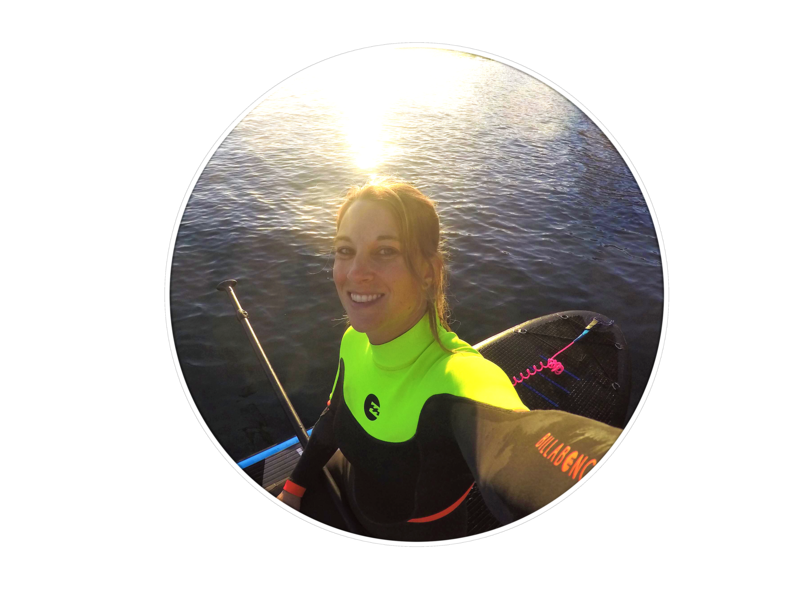 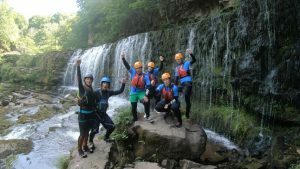 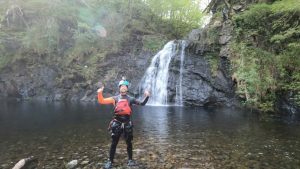 "Canyoning in Wales is so much fun because it has a lot of different sections, it's not just jumping or just scrambling, it is a bit of everything. 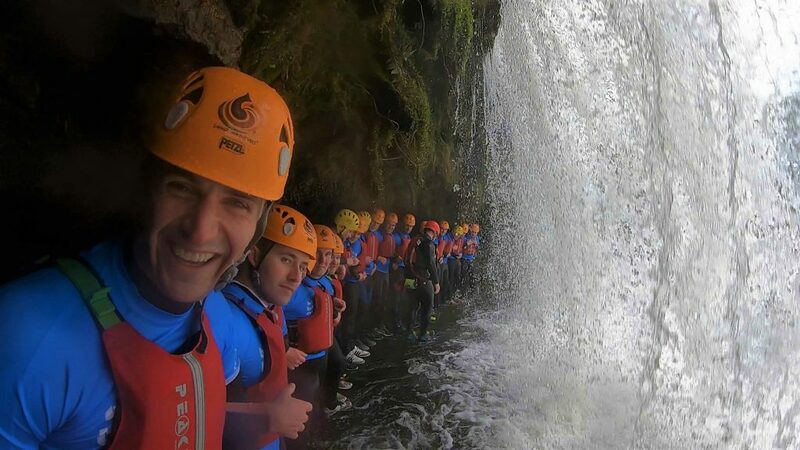 The gorge makes it a very flexible activity, there are no swells or currents to worry about and if it rains.. who cares, you're in the rainforest after all!" Travel Smart! 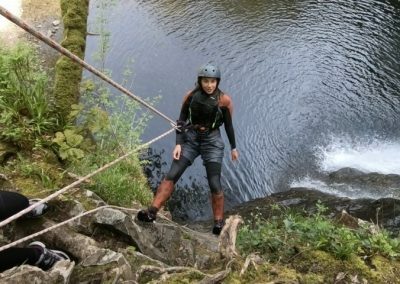 Your Funds Are Protected With PTS.  Travel safe - your funds are PTS protected!